Wonderful ranch home on 2.93+/- Very private, surrounded by hardwoods at the end of a private road.Vaulted ceilings in great room and first floor master bedroom. Split bedroom design, great room,spacious dining area, eat-in kitchen, big Anderson windows let the outside in! 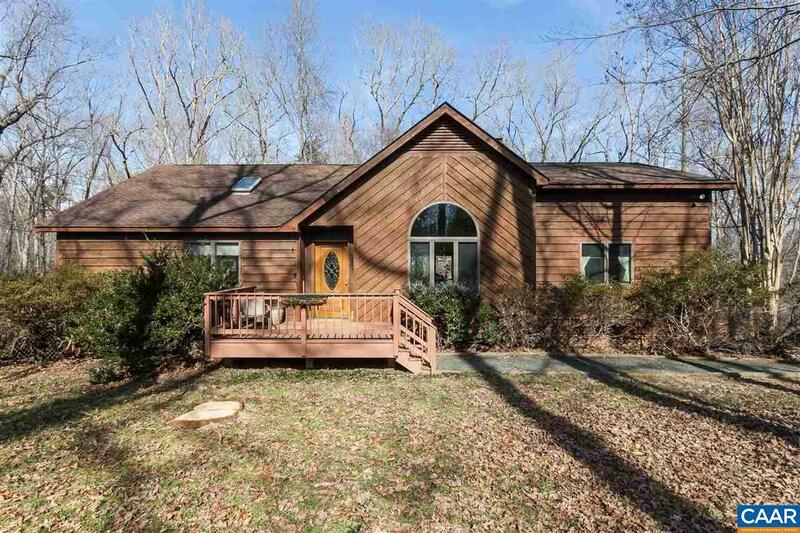 Decks overlooking woods.Terrace level offers possible theater room, full bath,family room and bonus room. 1 car garage,large storage area and shed.